We’re excited to be publishing two new print editions for the opening of ‘Dirty Laundry‘ which brings together the works of Bay Area artists Brett Amory and Adam Caldwell. 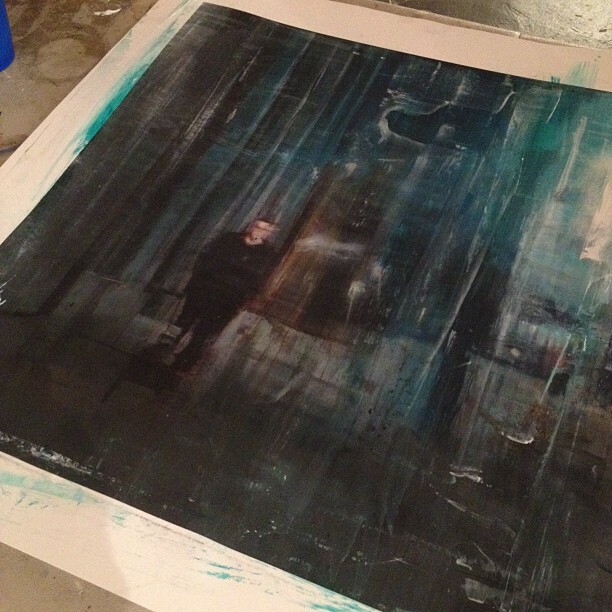 Brett Amory has really added a ton of hand embellishing to each print with both acrylic and graphite creating truly unique works of art. While each is part of an overall edition of 10, each one has its own unique voice thanks to Brett’s numerous embellishments. 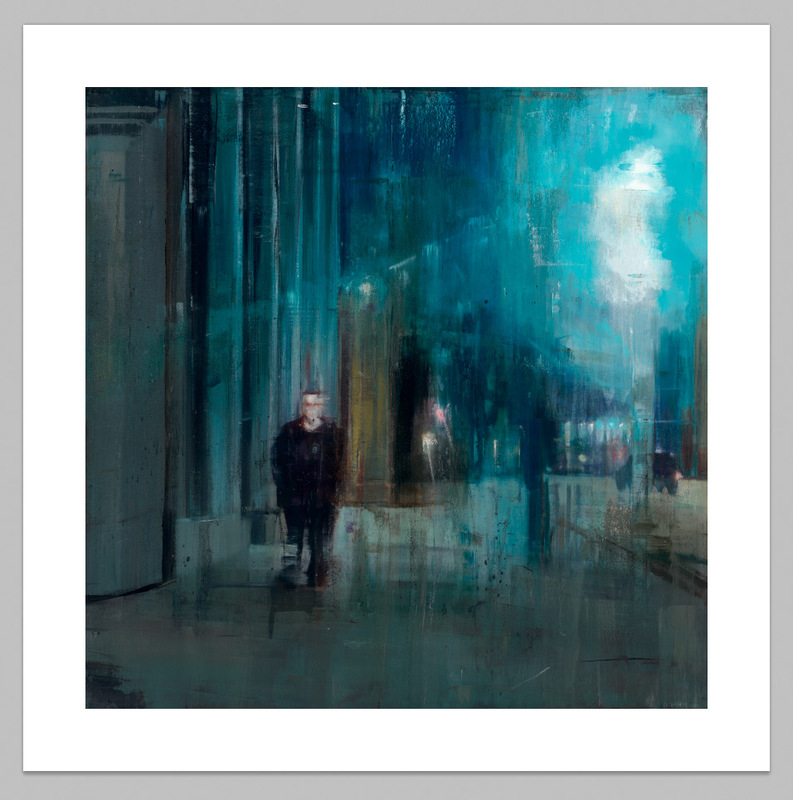 A sample of the hand embellished print from Brett Amory - each piece very unique. Adam Caldwell has gone in and added all sorts of flourishes of color and add’l details to each print with both acrylic and graphite creating truly unique works of art. While each is part of an overall edition of 10, each one has its own unique voice thanks to Adam’s added touches. 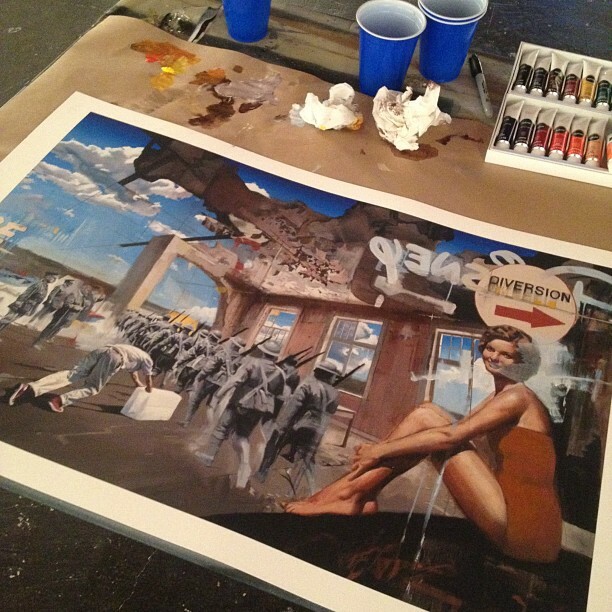 A sample of the hand embellished print from Adam Caldwell - each piece very unique. Both editions will be released this evening during the opening of ‘Dirty Laundry‘ from 5 to 9PM. If you are interested in either print and can not make the opening, please send us an email to contact(at)thinkspacegallery(dot)com and we will follow up this coming Monday to arrange details with you.